I enjoyed reading this book and can see how entertaining it would be to children aged 9 upwards. 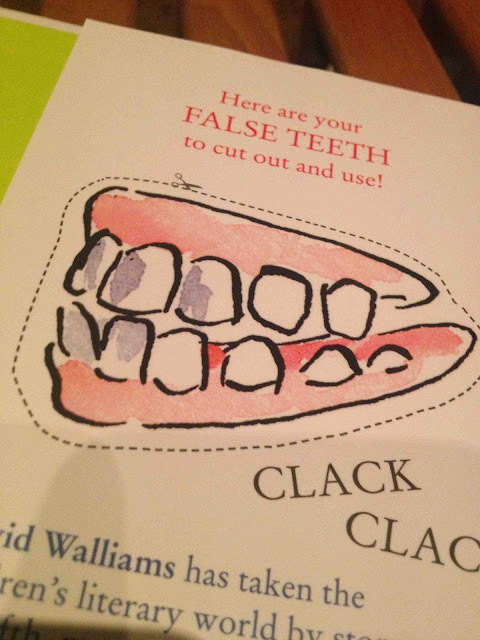 I did read aloud carefully selected extracts to my four year old (he loves dark comedy and all things scary!) 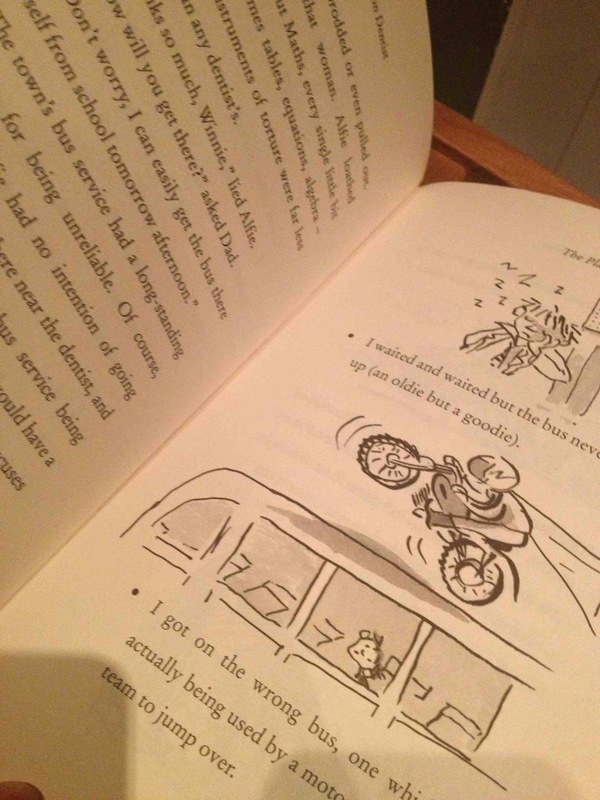 which he loved - especially the bit about a motorcycle display team jumping over a bus! 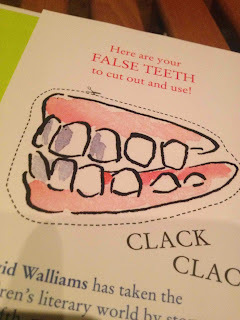 We laughed and giggled together throughout the book - it's very funny! There's been comparisons to Roald Dahl and I have to say being a huge Dahl fan, I was a bit skeptical at first. However, the comparisons have been made with good reason, the story would appeal to any Dahl fan and the illustrator, Tony Ross (Horrid Henry) has done a fantastic job! This book is awesome, it's the first Walliams book I've read and now I want to read the rest! I'm lucky enough to have a copy to give away to one of my wonderful readers, see below. Darkness had come to the town. Strange things were happening in the dead of night. Children would put a tooth under their pillow for the tooth fairy, but in the morning they would wake up to find... a dead slug; a live spider; hundreds of earwigs creeping and crawling beneath their pillow. Evil was at work. But who or what was behind it...? 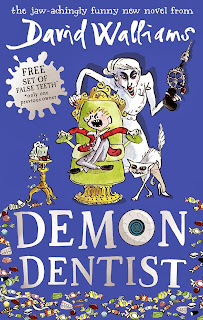 The long-awaited fantastically funny new children's novel from The King of Comedy, David Walliams! Continuing their perfect partnership, this novel will be illustrated by Tony Ross. David Walliams goes from strength to strength as thefastest growing children’s author in the UK. Copies are available from Amazon. You can download extracts here. To enter the competition, please tell me ... Are you afraid of the dentist? Answers in the comments section below. Please include a way of contacting you, such as twitter id. 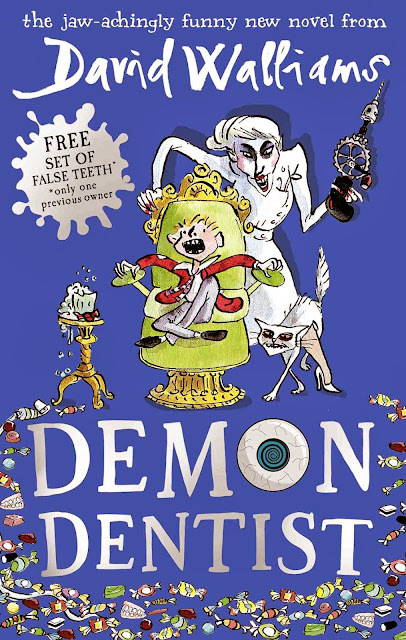 One winner will be selected using random.org to win a copy of the Demon Dentist please reply with your details with 7days of winning or another winner will be selected. Competition closes 14th November 2013 at 12noon. UK entries only please. Prize sent out directly from the prize provider. I dont like it when they spray that cold water in my mouth! Not as much as I used to be but I still dread going! No I am not afraid - my dentist is a lady and really kind! No - I always thought it was great fun! No I'm not, but I still don't enjoy going!! Yes, I'm afraid every time I go for a check up that I'll need some expensive work done. Commented on 'Love Your Gums'. Nope and never have been! Not at all, I love going! No reason to be, brush my teeth twice a day. yes, im very afraid of the dentist! luckily my son isnt! The dentist does not bother me. Im afraid its a necessary evil. yes I hate going to the dentist,but have to put a brave face on in front of the kids ! My mum was a dentist, so I spent a lot of my childhood in a dental surgery! No, but don't like going! Not afraid of dentist, I cherish mine! Yes I hate the dentist!!! I have a nasty habit of blackouts in the dentist chair so have to go to a specialist, who is brilliant. I've got awful toothache at present and will be on the phone in a few minutes hoping for an emergency appointment. No, I love the dentist as they always say I have very nice teeth! I used to be really afraid of them but I can now sit in the chair and have small amounts of work done with out crying. No I'm not afraid of the dentist, I was brought up around them as my dad was a dental technician and my mum was a dental nurse! I am absolutely terrified of the dentist! So much so, that I have to be put to sleep for any treatment! Hel yer! Dentist scares the s*$t out of me! I have a cockily stomach, so feeling sick is the worst thing about the dentist for me! I absolutely hate going to the dentist, but I have to put on a brave face when I take my 2 kids for their 6 month check-up. The only fear I have in going to the dentist is the bill after!!!! Yes, very scared but I'm brave and still go! I am a little bit scared! When I was younger , my dentist looked like the mad scientist !